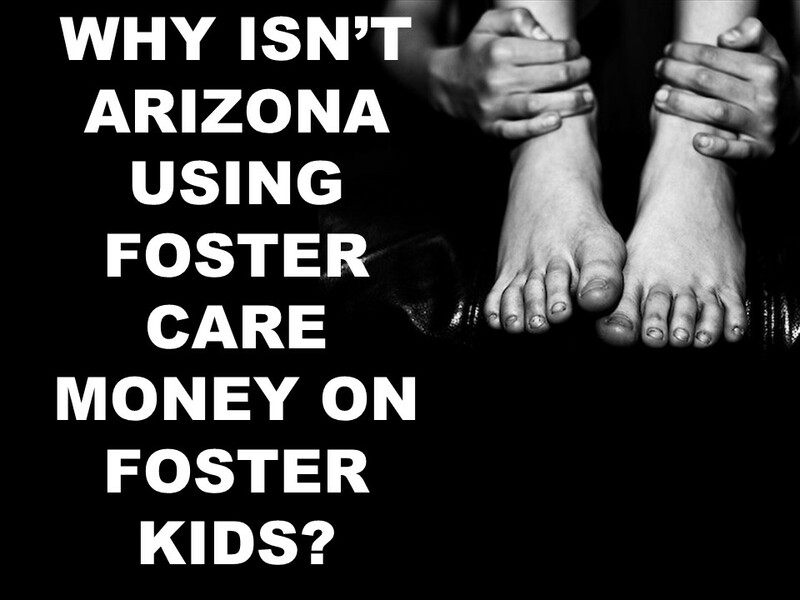 Why Isn’t Arizona Using Foster Care Money on Foster Children? Why isn’t the State of Arizona using the money they are being given for foster care to improve the lives of foster children? That’s what we, Robert and Kathleen Raskin of Las Vegas, would like to know. Arizona receives $56 million in no-strings aid from the feds, but they did not accept the funds because they haven’t come up with a plan of how they’ll use it. Thanks to an agreement with early childhood organization First Things first, the state is provided with millions in federal money that is supposed to go toward foster children. The state contributes an additional $7 million that is allocated to cover the child care expenses incurred by foster families and family members who are caring for children while they are in the custody of the child protection organization. The stipend, however, is ridiculously low. So where is the money? The support these families need is very much deserved, but their needs are woefully unmet, with wait lists up to eight months long and thousands of families left in the lurch. Studies have shown that affordable child care is one of the keys to keeping children out of the system in the first place. In a system that rewards caseworkers for placements, is it ethical to refuse to provide funds to these families, thus increasing the likelihood of placements? What will happen to families with dependent foster and at-risk children who can’t afford child care? They will be left with few options, and these include leaving children home unattended, quitting work and relying even more on government support, and an increasing number of foster parents choosing to leave the system entirely. At a time like this, when good foster parents are needed, this would also be detrimental to children’s health and safety. Raise the amount you pay child care providers – this hasn’t been done in 19 years! Get it together, Arizona. Your state has over $56 million provided for these purposes. The fact that you are leaving families and children in crisis while you sit on these funds is unconscionable! Learn more about how Arizona DFC kidnaps kids LEGALLY. The State of Arizona has been sued before, and they can be sued again. When will the children of Arizona be protected? This entry was tagged fight child abuse, fight CPS, fight DCF, fight DHR, foster care, Kathey Raskin, Kathey Raskin Las Vegas, Kathleen Joann Raskin, Kathleen Joann Raskin Las Vegas, Kathleen Raskin, Kathleen Raskin Las Vegas, Kathy Raskin, protect children, protect families, Rob M Raskin, rob raskin, Rob Raskin Las Vegas, Robert M Raskin, Robert Marc Raskin, robert raskin, Robert Raskin Las Vegas, stop child abuse, Stop DHR corruption, stop foster abuse, StopDHRCorruption by stopdhrcorruption. Bookmark the permalink.